Since my “new things” list, as is stands now, is 60+ items long, I likely won’t get to everything by the end of March, but I think it’s better that the list be too long than too short. I’m not going to share the list as a whole, only as things are checked off, but I will end the suspense on two counts: 1.) I’m not skydiving, and 2.) I’m not bungee jumping, because I’m too scared shitless smart. Although I think it’s important to do a few of these new things alone (because alone is harder), another part of my plan is to rope my friends and family into doing some new things with me. The handful of people I’ve told about my plan so far have all agreed to keep me company for some activities. To the people who are just now learning about my plan, I hope you will consider joining me for something. I might try to coerce you, but if I don’t, feel free to reach out to me, especially if I haven’t seen you in a long time, and even if you don’t know me that well (read 31 random facts about me in the “About Me” tab). As I said, most of the things on my list will be fun and easy. 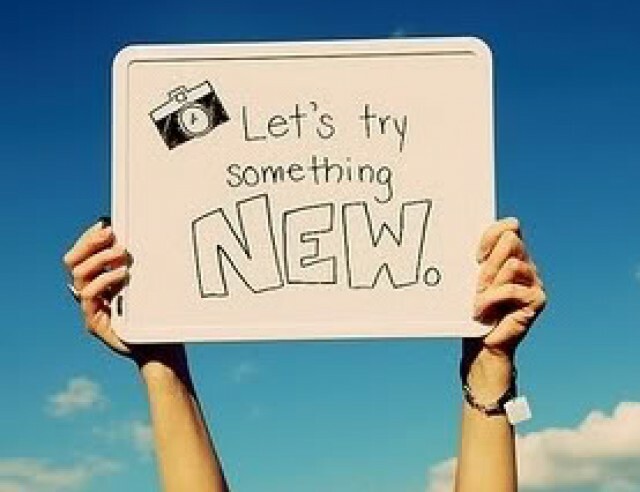 Also, I’m hoping some people will share ideas for new things. Comment here, or send them via Facebook, text, carrier pigeon, skywriting, whatever, just get them to me. I can’t promise I’ll do them, especially if you get ridiculous and tell me to shave my head or flash a nun or something. I don’t want this to turn into truth or dare, but I’m open to any and all suggestions. I’m hoping to surprise myself, at least a little, with what I’m willing to try. So, let’s do this! Stay tuned for day one.